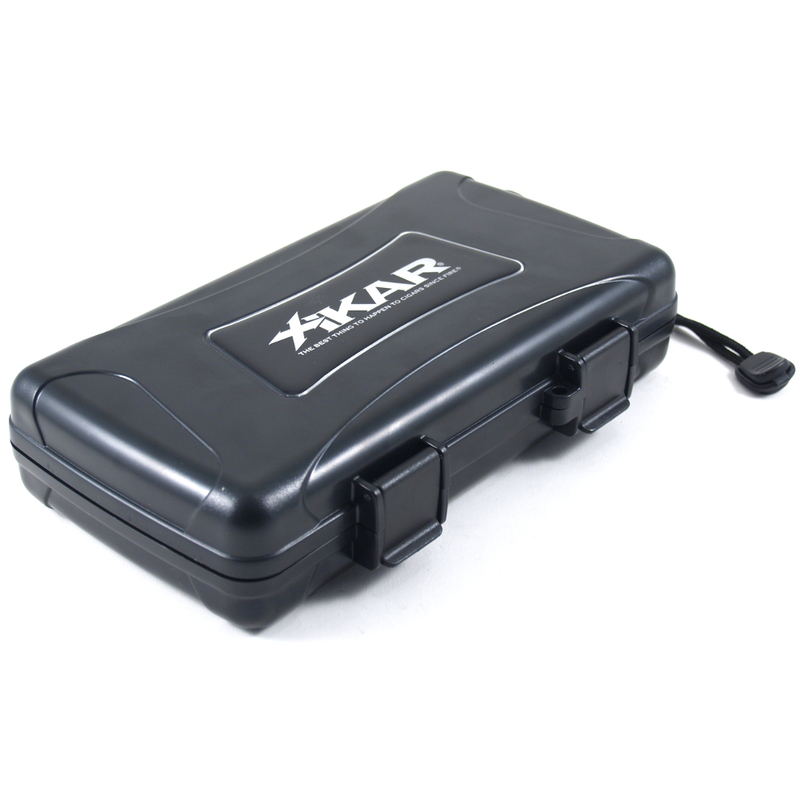 As Rugged as the famous XiKar cigar cutters, the XiKar travel humidor will fit perfectly into a golf bag, Briefcase, Glove Compartment, or tackle box. Holding up to 5 Cigars, this airtight, watertight, and crushproof humidor is an excellent case. Made from super-strong ABS molded Plastic and featuring a silicone airtight and watertight seal, this travel humidor ensures the protection of your cigars. Inside is lined in foam to cushion your cigars. The box features a humidification system, which due to the ultra tight seal is not even needed, but we have included it anyway! The humidor is guaranteed to keep your cigars moist and ready to smoke.